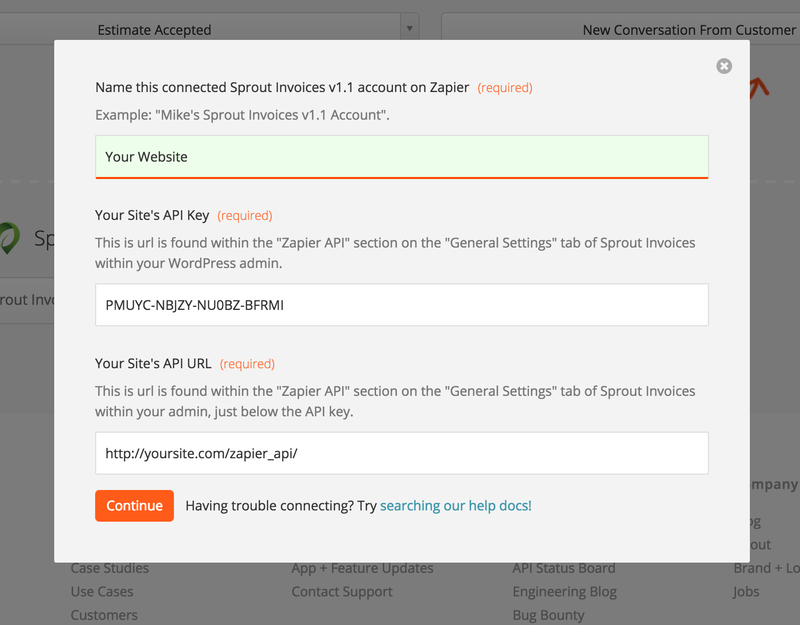 Zapier integrates with hundreds of online apps. 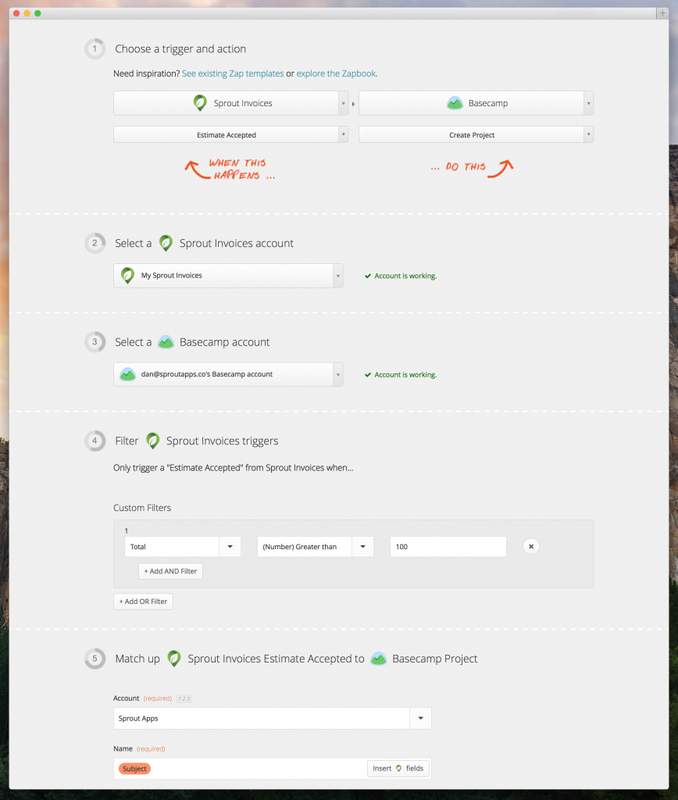 In this example a Basecamp project will be created when a Sprout Invoices estimate is approved. 1) Use the invitation link. Here’s an invitation link to use our Zap since it’s still in the review process. 2) "Make a new Zap". 3) Select the trigger and action. In this case the trigger is with Sprout Invoices and it's when an Estimate is Accepted. The action for this example is with the Basecamp App and it is to Create a Project. Notice in the example above that I created a filter for any estimate with a Total of over $100, since anything less is likely not a project at all and just a basic task. 4) Connect with your Sprout Invoices Install. The API settings for the connection screen are found under General Settings. ...above a test is made. It shows that the estimate information was sent to Zapier and initiated the creation of the new basecamp project. All troubleshooting documentation can be found here.